Discover the astounding beauty AND bounty of the Apostle Islands and Northern Wisconsin and sleep in the deep north woods near Lake Superior's shores. 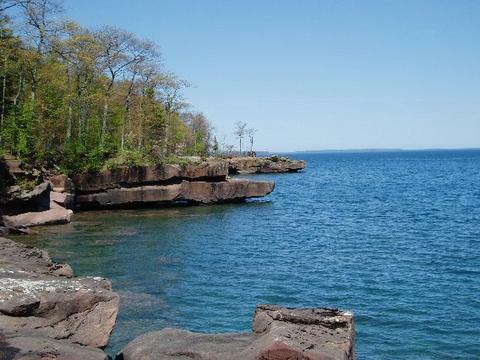 We'll explore the Apostle Islands wilderness by day then, in the evening prepare a fest of local ingredients. Mornings will be devoted to paddling through sea caves, hiking trails, and enjoying the Lake's sandy beaches. Come afternoons we'll visit small local farms, orchards and fisheries and learn about the area's culinary treasures. For more information, go to TASTE OF THE APOSTLES!